September has arrived, marking the near end of another Summer and thus the end of Winter for Game of Thrones fans. The fantasy phenomenon came crashing onto screens yet again this year with what was arguably its most successful season yet. Game of Thrones managed to pull in an astonishing 16.5 million viewers for the season seven finale, which does not even account for the huge number of those watching illegally. However, there is no dispute that when a show meets new highs there has to be some lows and Game of Thrones is no different. The season opened with a bang, with Arya’s ruthless slaughtering of Walder Frey’s men which was admittedly way more satisfying than expected considering the red wedding happened three seasons ago. This was however followed by a rather awkward cameo from Ed Sheeran, the first and smallest issue with the season. Sheeran was not the first musician to appear in the show but there was just something off-putting about the whole scene. One thing the writers were really pushing this year was progress and this season certainly moved faster than any other. We had more reunions than we were able to keep up with. Bran and Arya both finally returned to Winterfell and were reunited with eldest Stark sister Sansa. It was beautiful and insanely weird all at the same time. Others included a tense new relationship between Jamie and Cersei and an emotional reveal that Ser Jorah had been cured of his gray scale by fan favourite Sam Tarley when he appeared at Dragonstone to meet his love Daenarys. There was also the introduction of new dynamics like Jon and Danaerys finally meeting and eventually taking that relationship way further which no-one seems to find weird, and the introduction of just how evil Euron Greyjoy could be. The scale of the show has been increased which is saying a lot for a show that has staged some amazing battle sequences. The show runners have to be commended for their lack of hesitation to spend money this season. There really were some breathtaking moments, including Daenarys’ attack on the Lannisters, both displaying the power of the Dothraki army and some amazing carnage filled sequences with the dragons, which every fan has been pining for since they were first introduced. Plus let’s not forget about just how terrifying the army of the dead has become. Watching them ambush Jon, the Hound and the rest of the “suicide squad” was just pulsating and their murder and reanimation of the dragon Viserion gave everyone chills. The show did a lot right this season but a glaring issue was just how rushed it was. Unfortunately season seven was restricted to seven episodes and it certainly suffered as a result. It was filled with some strained conversations which was disappointing for a show that is praised for its well written dialogue. Sam’s time in the Citadel was also painful to say the least. Although we got a great performance from the amazing Jim Broadbent and there was the essential curing of Jorah’s grayscale, the whole story line dragged for far too long, especially when other characters like Gendry, who shared some great scenes with Jon Snow, were given little to no screen time. Another element that fell short was Jon and Theon’s reunion. There was so much to be explored in that scene but sadly the short run time restricted it to a very tiny exchange in which Theon seems to suddenly get his courage back. Even worse was the death of Littlefinger. Baelish was a superb character and stole the show in every scene he was in. Although his demise was imminent, the twist that Arya and Sansa had planned it all along, despite his manipulation attempts, was unsatisfying and not a justified end to an amazingly complex character. Finally, it was blatantly obvious the writers had messed up the sand snakes storyline and wanted it over as soon as possible. 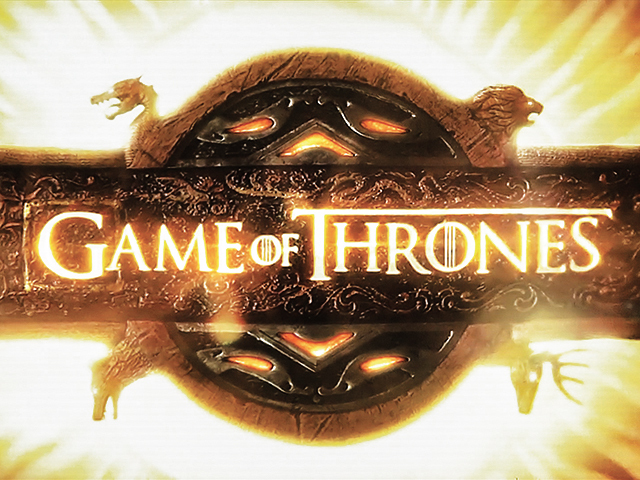 Despite some mistakes the show has certainly upped its game and credit is due to the cast who gave exceptional performances; in particular Rory McCann (Clegane) and Lena Headey (Cersi). Game of Thrones is still champion of the silver screen and the hype is not likely to die down anytime soon. Show creators D.B. Weiss and David Benioff seem to be confident in how they will handle the ending, despite deviating dramatically from the books. The reports that multiple endings will be shot in order to prevent leaks have fans rejoicing. But with only six episodes left in the entire series it will be interesting to see if Game of Thrones will get the send off it deserves.